…with us your health is in your hands! 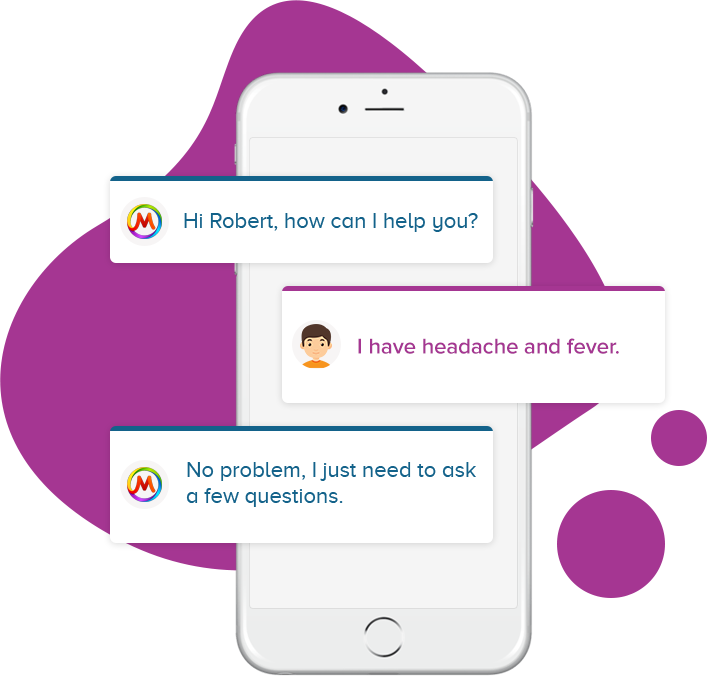 Type your symptoms like “Headache” or “Fever” or write more than one symptoms and let MiA do the triaging for you. Online GP appointments available in under 10 minutes (on an average). Get a referral letter as soon as you need one, to help you get access to the next step of your treatment or medical need. Usually it takes a lot of phone calls to book appointment with your regular GP which could at times take over a month; try our doctors who can send out a detailed referral letter in just a call once your examination is over. Our specialists are here for any medical concerns that you might have. Just book an appointment and speak with our doctor at your own convenience. You repeat prescription could not have been any easier and hassle free. No need to worry if you have run out of your prescription. We can send your prescription BY POST, by EMAIL or to your nearest pharmacy (within the UK). Hassle free – Repeat Prescriptions are just a call away from you. Going to a doctor when your health is not at its best can be a bit inconvenient for you. Therefore, we ensure that you can get a sick note on phone after a video call from our doctors. If you have recently recovered (that’s a great news) and are ready to be at work, then contact us to get a “Fitness Note”. Our “Sick Notes” and “Fitness Notes” could be verified directly with us by employers or any other relevant agency. that will revolutionize the healthcare industry. as well as aiding healthcare providers to seamlessly deliver their services. We are a company with a vision! Vision to see better, affordable and technologically advanced Healthcare for everyone and anyone. in just of 10 mintues!